A man with a python hidden inside an external hard drive was stopped from boarding a Florida plane headed to Barbados. The Miami Herald reports that officers screening luggage at the Miami International Airport Sunday found an "organic mass" inside a checked bag. Transportation Security Administration spokeswoman Sari Koshetz says a bomb expert then examined the bag and discovered the live snake in the hard drive. She says the snake was "obviously not an imminent terrorist threat," but its interception prevented a possible wildlife threat. The passenger was fined, and the snake was taken into custody by U.S. Fish and Wildlife Services. His name was not released. Neither man nor snake made the flight. 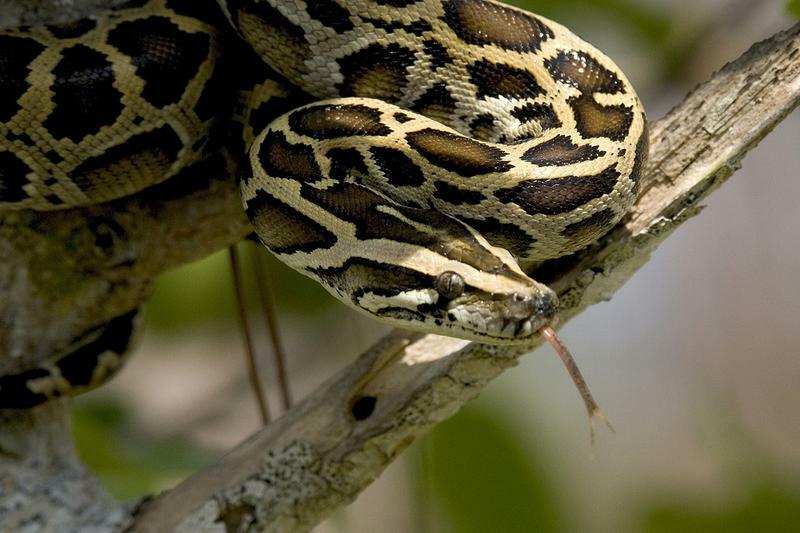 Researchers say invasive Burmese pythons are depleting so many animals in the Everglades, mosquitoes there are mainly biting a species of rat that carries a virus dangerous to humans. 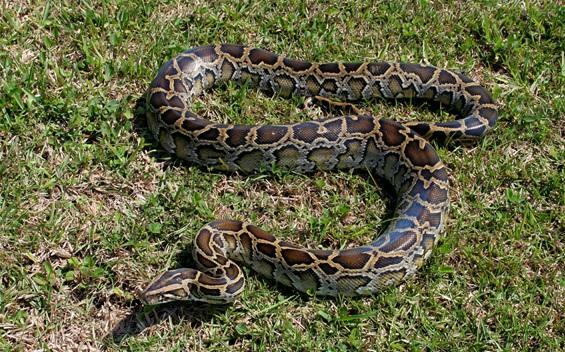 Florida is marking a milestone in its attempt to control an infestation of Burmese pythons in the Everglades. Gov. 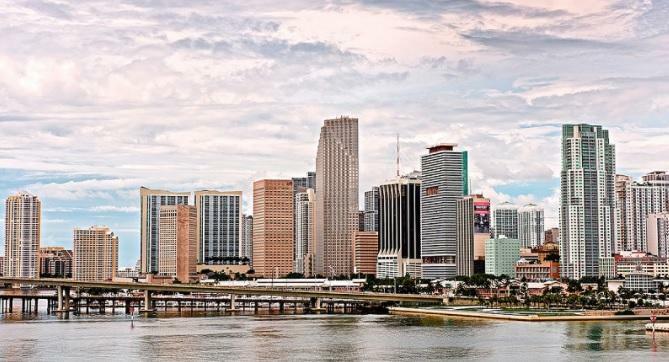 Rick Scott has signed a bill aimed at reducing the number of pythons and other invasive species that cause damage in parts of the state, including the Everglades. The bill (SB 168), which Scott signed Friday after it was unanimously approved this month by the Legislature, sets up a pilot program targeting pythons and species such as tegu lizards and lionfish. Under the program, the Florida Fish and Wildlife Conservation Commission will be able to enter contracts with people to capture or destroy the species on public lands and in state waters.